On Saturday, the central courtyard of Castello Lanzun in San Ġwann, the headquarters of the Military Order of St Lazarus of Jerusalem, will become the stage to a recital featuring Nadine Galea on violin, Giuseppe Recchia on clarinet and Tricia Dawn Williams on piano. 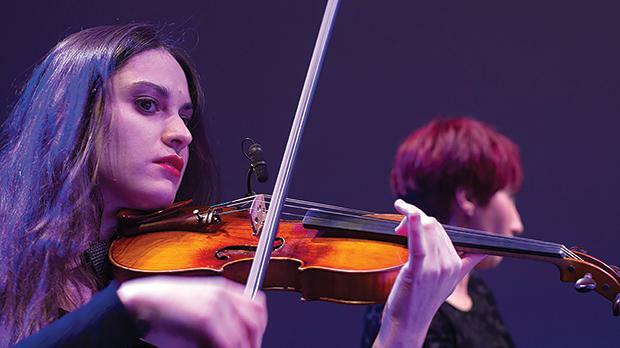 The event, entitled Trios, forms part of Modern Music Days, which is organised by the Manoel Theatre, the Malta Association for Contemporary Music and the Valletta 2018 Foundation. It is presenting a programme of contemporary music that is exciting and accessible to all. Organised in collaboration with the Military Hospitaller Order of St Lazarus of Jerusalem, the concert will feature trios, duets, as well as piano solos by Maltese and international composers, namely Makiko Kinoshita, Shoichi Yabuta, John Adams, Scott McAllister, John Psathas, Charles Camilleri and Ruben Zahra. One of the pieces to be performed on the night will be Zahra’s Crimson Sunrise, which was written specifically for violinist Nadine Galea, who peformed in front of Queen Elizabeth II and who made the news earlier this year when global superstar Will.I.Am flew her to Cannes for a special performance. Trios, the fourth instalment in the Modern Music Days series, will be held on Saturday at 9pm at Castello Lanzun, San Ġwann (opposite the Mensija chapel). Tickets are available online from https://shop.heritagemalta.org .